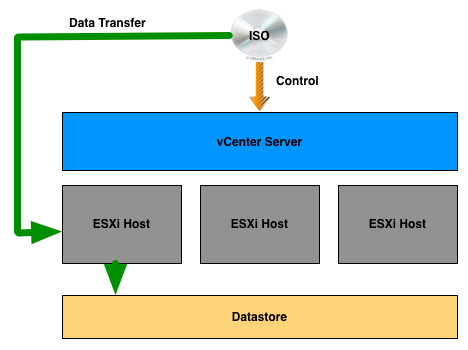 A question came up the other day from a customer that wanted to move a vSAN-based datastore into a vSphere Folder, but was having some trouble with this operation. vSphere Folders are commonly used by administrators for organizational purposes and/or permission delegation. When the customer tried to move their vSAN datastore into a folder using the vSphere Web Client (applies to HTML5 Web Client as well), what they found was that nothing happens even though the UI indicates the operation should be possible with the (+) symbol. I also saw the same behavior described by the customer and was curious if this was a UI only issue or a general limitation. 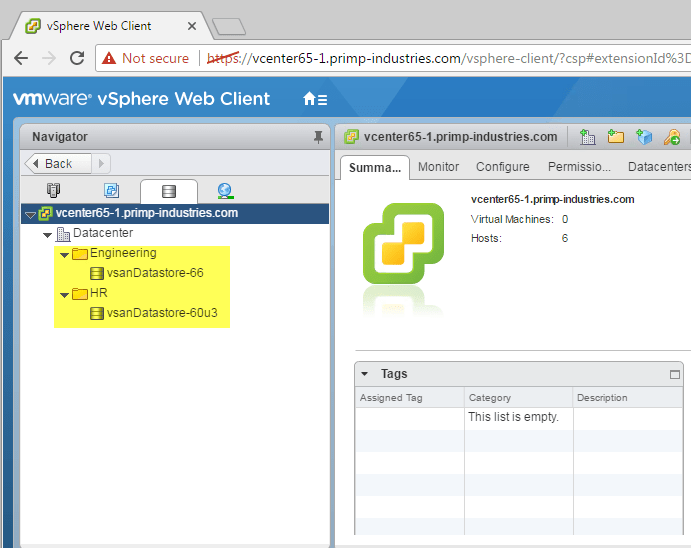 To quickly verify, I decided to perform the operation using the vSphere API instead of the UI. Behind the scenes, the UI simply calls the MoveIntoFolder_Task() vSphere API which allows you to move various vSphere Inventory objects into a vSphere Folder. As many of you know by now, the vSphere APIs can be consumed in variety of "SDKs" or programming/scripting languages which includes PowerCLI. For PowerCLI users, this functionality is further simplified and abstracted away using the Move-Datastore cmdlet which I will be using in our demonstration. 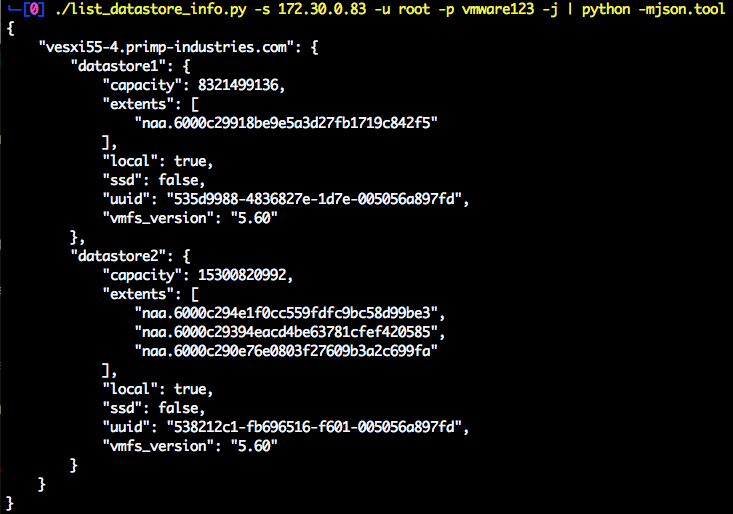 Using the vSphere API/PowerCLI, the operation looks to have been successful. Lets now going back to our vSphere Web Client and see if the operation actually went through? 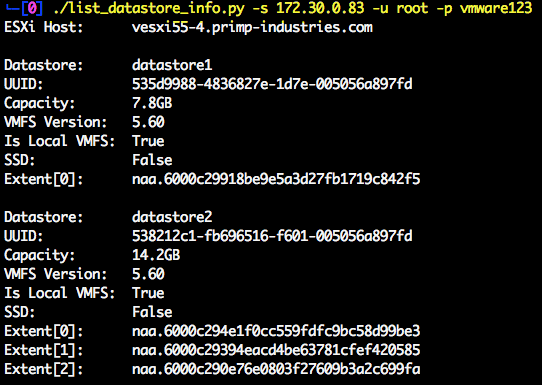 Look at that, both our vSAN Datastores is now part of a vSphere Folder! This looks like a UI (Flex/H5) only issue and I have also confirmed that this will be fixed in a future update of vSphere. 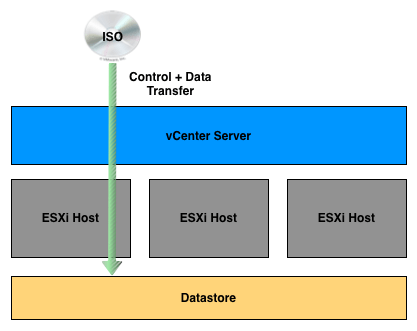 For now, if you need to move vSAN-based datastores into a vSphere Folder, simply use the vSphere API as a workaround. Note: I also found that if you need to move the vSAN Datastore back to the Datacenter level, you will also need to invoke that operation using the vSphere API as the UI also prevents this operation. 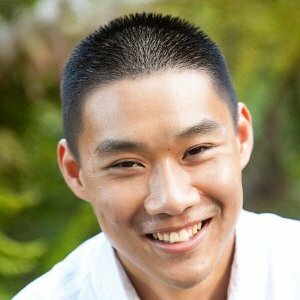 I was recently working on a script for a friend that collects some basic information about VMFS based Datastores. While going through the vSphere API 5.5 Reference, I noticed a new property was introduced in vSphere 5.5 API called "local". It looks like we now have a simple way of checking whether a given VMFS Datastore is local or not. In the past, the only semi-reliable method for checking whether a VMFS datastore was local or not was to see if the "multipleHostAccess" property was set to true, which meant it was a shared VMFS. This was not very reliable as it could be a remote VMFS Datastore but only exported to one host so far and the other major caveat is that this property was only available when connecting to a vCenter Server. There was a question on Twitter this morning from AJ Kuftic on whether it is possible to display the mapping of a VMFS Datastore to its respective storage device using ESXCLI. Josh Coen beat me to the answer this morning, but yes it is possible using ESXCLI. I thought I still share this quick tip as it may not be obvious, especially when you need this information while performing a storage maintenance or troubleshooting with your storage administrator. As you can see from both screenshots, we can easily identify the name of the VMFS datastore and the specific storage device it is mapped along with other pieces of information. I prefer the ESXCLI method as it is nicely formatted along with the title header for each property.